Australian almond company Select Harvests has announced it is seeking expressions of interest from long term investors for the funding of approximately 5,000 acres of greenfield almond orchards. In August 2014, Paul Thompson Managing Director of Select Harvests (SHV) announced the acquisition of two almond orchards at Amaroo and Mullroo, and the purchase of 2,865 acres of greenfield land suitable to support Select Harvests almond orchard expansion strategy. Select Harvests’ brands include Lucky, Sunsol, Nut-Vit, Solan, Allinga Farms and Renshaw. Select Harvests recently reported a net profit after tax of $18.8 million for the first half of the 2015 financial year, compared to $18.4 million for the previous corresponding period. The Company’s Almond Division reported EBIT of $32.3 million for the first half of the 2015 financial year, an increase of 29 per cent on the previous corresponding period. Its Food Division held steady with an EBIT of $4.1 million, similar to the previous corresponding period. The Company reported underlying NPAT of $21.5 million for the period, an increase of 17 per cent on the previous corresponding period, which it said was driven by the Almond Division. The Company said it was now evaluating a range of funding options to support the plant out of new almond orchard acreage on these properties, including sale and leaseback. The funding structure is designed around a long term lease of these recently acquired almond orchards and associated greenfield development land. 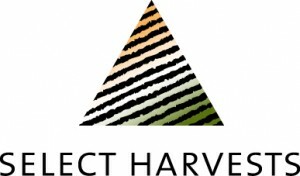 Select Harvests said it would develop the orchards, take the operational and agricultural risk, process and market almonds. Select Harvests said it planned to expand its business with food processors in local and South East Asian markets, and to develop relationships with new distributors in Thailand and Malaysia. “Further updates will be provided as the process to secure funding develops. Select will continue to look at opportunities to purchase mature orchards and develop greenfield sites to increase shareholder value,” said Paul Thompson. The Company said it was also actively seeking mature orchard acquisitions. PPB Advisory have been appointed to manage the process. ﻿﻿Parent company of Coles supermarkets, Wesfarmers, has announced its 2016 financial year results. Cadbury has released its 2016 Christmas chocolates range. NSW Food Authority and NSW Health are investigating a hepatitis A outbreak in the Sydney region. What can we learn from Menulog's online meal ordering figures? ALDI has won Canstar Blue’s Most Satisfied Customers Award in the Supermarket category for 2018.